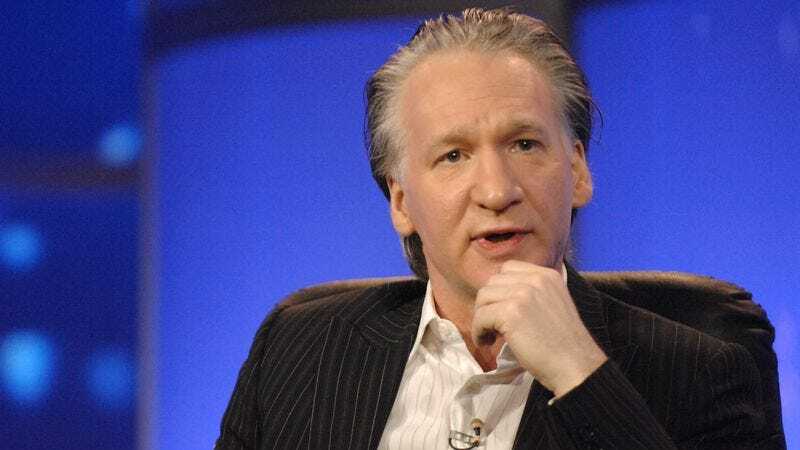 On Saturday, HBO released a statement that called Maher’s use of the n-word “tasteless” and “completely inexcusable,” but it doesn’t sound like the new statement to Entertainment Weekly expanded on that at all. Either way, HBO is probably going to be paying close attention to how future episodes of Real Time are received, at least if Entertainment Weekly is on to something with its assertion that the show’s future is now in jeopardy. Speaking of future episodes of Real Time, Maher’s guests on Friday’s show were supposed to be Al Franken and Ice Cube, but Entertainment Weekly also says that Franken has dropped out due to Maher’s “inappropriate and offensive” comment. There’s no word yet on if Ice Cube will do the same, though.